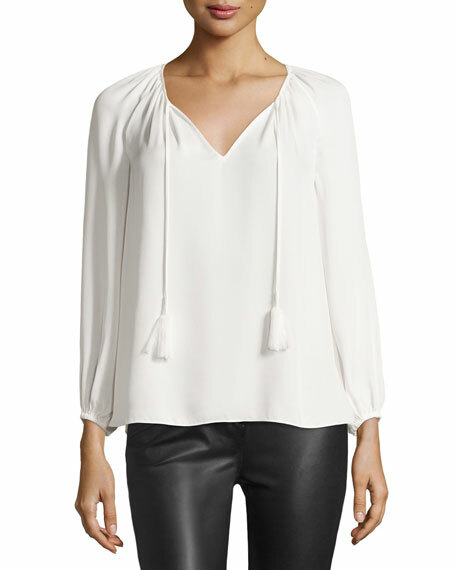 Diane von Furstenberg "Saylor" peasant blouse. Approx. length: 25"L from shoulder to hem, 26"L down center back. Split V neckline with self-tie tassels. 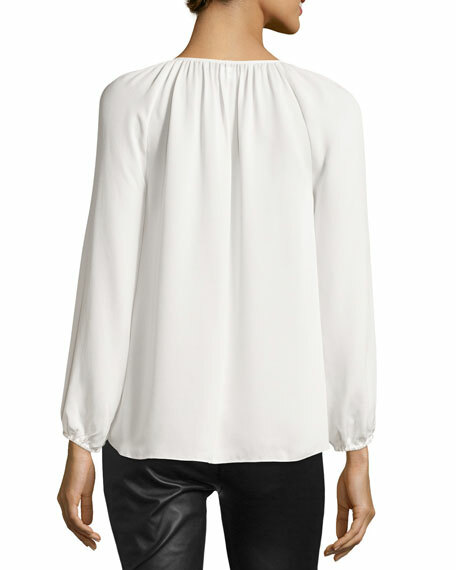 Gathered neckline creates relaxed silhouette. For in-store inquiries, use sku #1920925.